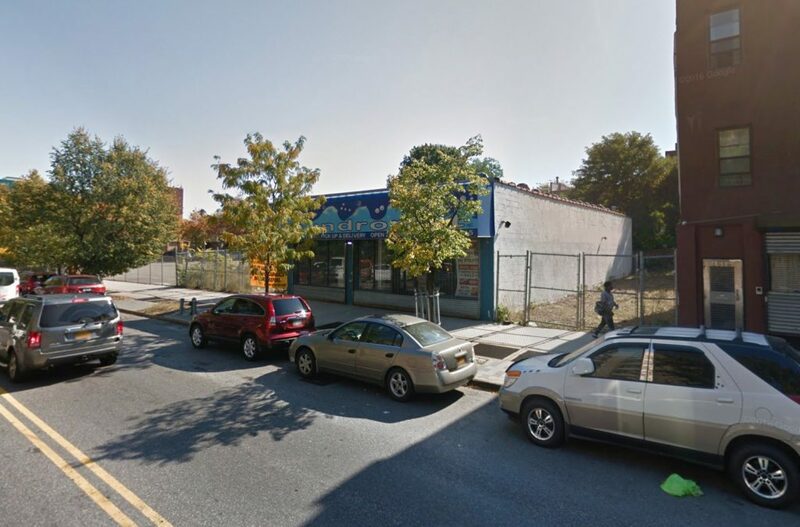 A single-story laundromat in Bedford-Stuyvesant may soon be demolished to make way for an 11-story building. 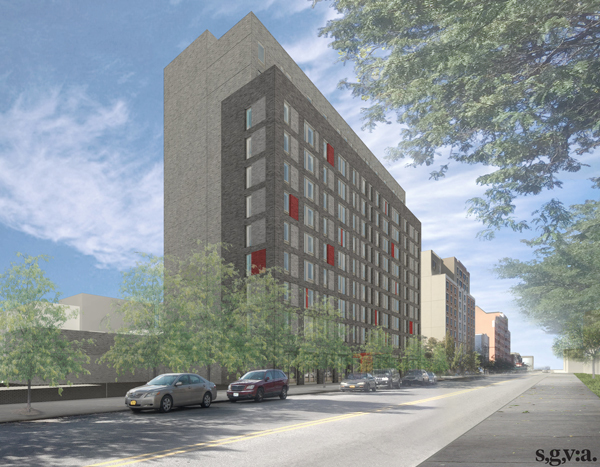 The developer for the project, at 1618 Fulton Street, is Brooklyn-based FAC Fulton Street Housing Development Fund Corporation. The site is just two blocks away from the Kingston-Throops Ave station for the A and C train, as well as one block away from Fulton Park, a block-long green space with its own dog park. The 113-foot tall structure will yield a total construction area of 103,400 square feet, with 71,400 square feet of residential space, 7,700 square feet of commercial space, and 5,400 square feet dedicated to a community facility. There will be no new space for parking. The community facility and commercial space will be on the ground floor. The building will have 103 apartments on floors two through eleven, averaging a bit under 700 square feet apiece, highly indicative of rentals. There will also be an outdoor space for tenants on the second floor, and four private terraces on the eleventh floor. Shakespeare Gordon Vlado Architects will be responsible for the design, and demolition permits have not yet been filed for the existing structure. As Cityland reported back in August, the site received City Planning Approval just a few months ago, which means construction is likely to move forward fairly soon. 4 Comments on "Permits Filed for 1618 Fulton Street, Bedford-Stuyvesant, Brooklyn"
Does “FAC Fulton Street Housing Development Fund Corporation” mean that this will be a HDFC affordable coop building rather than rentals? I’m guessing FAC may be Fifth Avenue Committee?